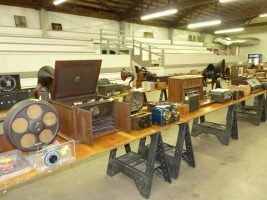 IARCHS annual Antique Radio Auction took place on April 29th, 2017 with 91 registered bidders and 8 states represented. 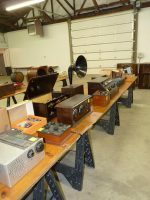 Brent Wears auctioneering kept a fast pace through the approximate 600 lots of radios, speakers, parts, tubes etc. Listed below (the photos) are some selected auction highlights with prices realized. The tentative date for the 2018 auction is April 28th, stay tuned for further information. 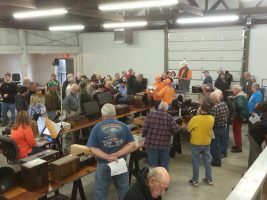 We had another great auction this year with over 550 individual lots sold. 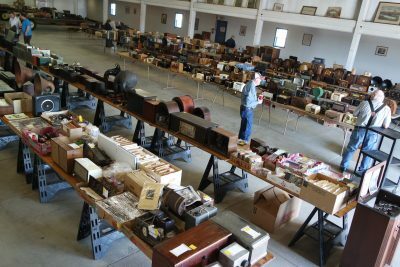 The weather might have been dreary outside, but as this auction was inside the nice building at the west side of Hawkeye downs it was nice and cozy. If you were there, see you again next year, if you weren’t, hope to see you next year. Great fun for all and just watching the Amazing Wears auction team in play is a show in its self. 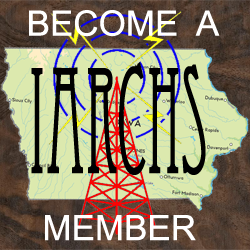 DON’T FORGET BECOME AN IARCHS MEMBER! STILL FREE, just click on the Join IARCHS (free) menu selection. It’s located on every page. Keep informed, register today and get those important information updates in your email box. Plus registration gets you access to the current newsletter and the members forum as well. 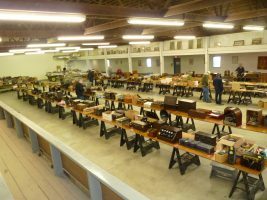 It was another great auction this year. We all had a great time and got lots of cool stuff. We will be posting 2016 auction pictures soon. 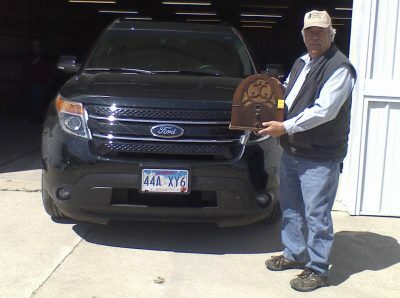 Check back often for more Iowa Radio information. 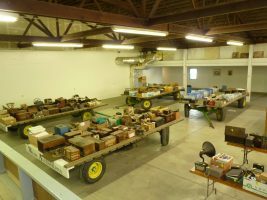 I helped setup at the auction site today. 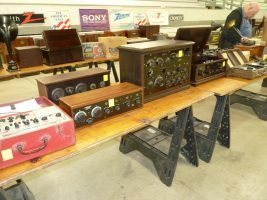 Looks to be a great auction for Radio Buffs again this year, everything from tubes, transformers, battery sets, table radios, consoles and even a few modern Retro look radios still new in the box. With so many to pick from it is hard to wrap my head around which ones I want to take home with me this year. 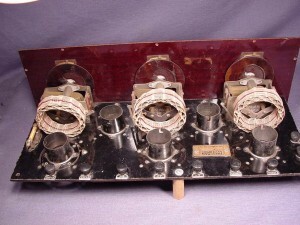 We even have a batch of radios brought here from South Dakota for even more variety. AUCTION DETAILS HERE. We have just added the Antique Radio Auction Web Pages to our site. 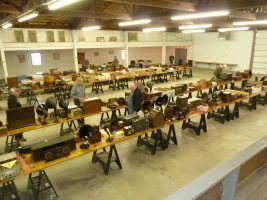 The 2016 Iowa Antique Radio Club Auction is coming up soon, May is not that far away, nor is our usual auction location of Cedar Rapids, IA. 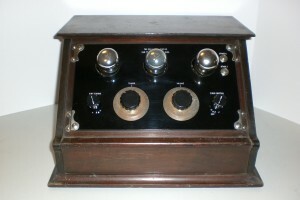 This year we are planning to have better advance pictures of auction items on our website before the auction. 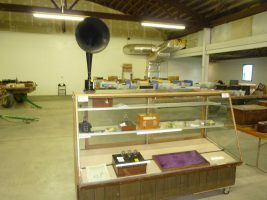 This way if someone is looking for a specific radio that is going to be sold at the auction, they will know to be sure and be there. 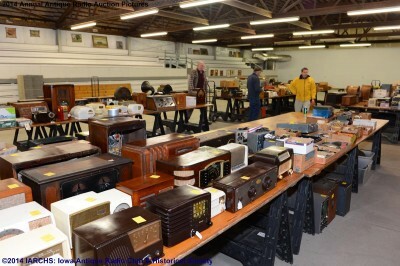 We also added several hundred pictures from the last three auctions. This should bring back memories of the stuff you really wanted, but missed getting. 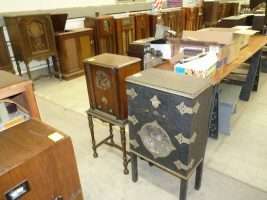 You can find these pages listed on our club antique radio auction web pages.